Rebel forces took the city al-Qawalish on Wednesday, extending their control toward the capital and putting them in striking distance of the key city of Gharyan. Meanwhile, a Russian report said that Qaddafi was willing to step down (this strikes me as extremely unlikely, and why is it only coming via Moscow? Qaddafi has a television station of his own). 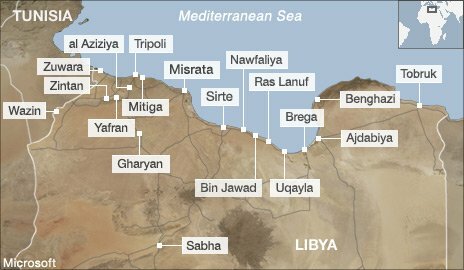 A NATO bombing campaign on checkpoints of security forces in the Western Mountains helped the rebel advance, and was denounced by the government in Tripoli, which predicted that the bombing would not in fact allow the Free Libya forces to move forward. Qaddafi brigades ran a long and bloody operation to subdue the western mountains towns, bombarding noncombatants with tank and mortar shells for weeks, long after the United Nations Security Council strictly instructed him to stop attacking his population and to allow them to demonstrate peacefully. 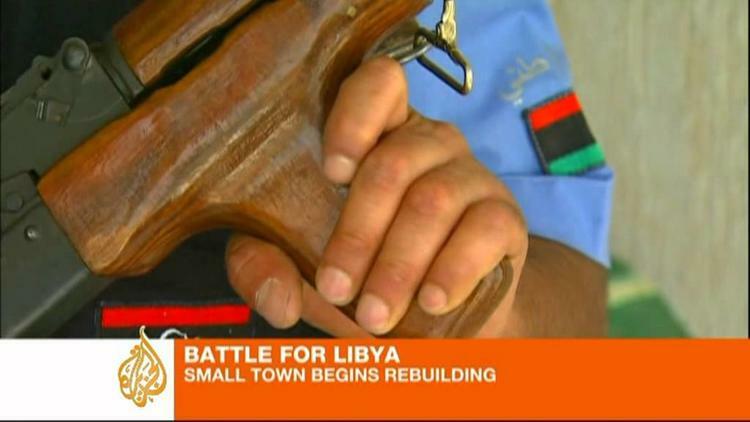 Also on Wednesday, Qaddafi brigades continued to shell Misrata, killing 11, mostly civilians. I would argue that in defying the UNSC order, and in committing further war crimes against his people, Qaddafi made his an outlaw state and under these circumstances the UN resolution authorizes NATO action to prevent him from committing further atrocities. The only practical way to do so, given his defiance and aggression with heavy weapons, is to hit them where they are committing aggression and to strengthen the Free Libya forces. and here is a recent report from the same source on the media war in Libya.